Funeral services for Mrs. Christine Craighead Davis Gwaltney will be 11:00 A.M. Thursday, May 25, 2017, at Ligon & Bobo Funeral Home with Bro. Don Craighead officiating. Interment will follow at the John L. Clark Memorial Cemetery at Gainesboro. Visitation Wednesday 2-7 PM and Thursday after 9 AM at Ligon & Bobo. Mrs. Gwaltney, age 86 of Lebanon passed away Tuesday, May 23, 2017, at her home. Born April 9, 1931, in Jackson County, she is the daughter of the late Raymond Turner Craighead and Allie Zelma Long Craighead. She was a member of the Philadelphia Church of Christ. 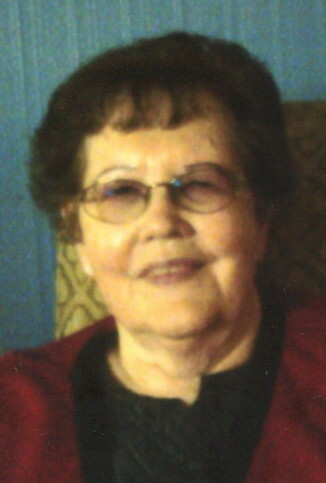 She worked for many years as a Certified Nurse Tech at Margie Anna, Cedars, and Smith County Health Care. In addition to her parents, she was preceded in death by her step mother, Eula Davenport Craighead; her husbands, Stanton Davis and Donald Howard Gwaltney; brother, Harold Craighead; and two nieces, Wanda Minchey and Lisa Craighead. She is survived by her son, Ronnie L. (Burma Felts) Davis; sister, Helen Minchey; many beloved nieces and nephews. Memorials may be made to Sherry’s Run, P.O. Box 8, Lebanon, TN 37088 or tot a charity of your choice. Christine was a wonderful friend. So sorry to learn of her death. May God bless each of her family members with strength during this most difficult time. Christine was a good friend and to many others. Enjoyed the many trips to the Smokies with the older Christian groups. We extend our sincere sympathy to all of Christine’s family. You hold a special place in our hearts. God bless you all. Paul and Betty (Buckingham) Leftrick.